Looking to savor French cuisine? A new upscale brasserie has you covered. The new addition to uptown Charlotte, called La Belle Helene, is located at 300 S. Tryon St. The eatery is helmed by executive chef Michael Rouleau and features high ceilings, a long bar and pewter accents. 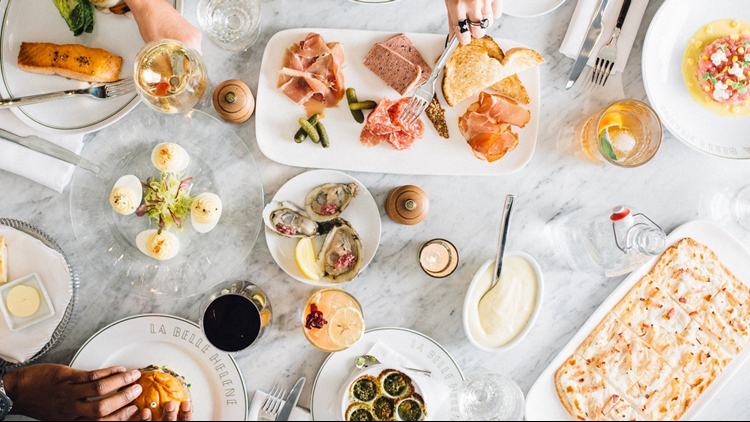 Notable menu options include brioche French toast, tuna tartare and homemade crepes for brunch; rotisserie chicken baguettes, sardines with seaweed butter and East Coast oysters for lunch; and dinner entrees such as seared scallops, roasted duck breast and baked Scottish salmon. Visit the website for more information. Thirsty? Grab a beer, wine or signature cocktail to pair with your meal. Check out cocktail options like ginny North Carolina South Side with bitters, mint and lemon or the vodka-based Pom Pear Padam with pear juice and Indian tonic. The new addition has proven popular thus far, with a 4.5-star rating out of seven reviews on Yelp. Corri S., who was among the first Yelpers to review the new spot on Aug. 1, wrote, "The space is gorgeous and the food is fantastic. A must see for locals and tourists. Get a glass of Champagne, the escargots and the baba au rhum. The poulet roti is not to be missed." Yelper Sam K. added, “The restaurant is absolutely beautiful, and it's such a great addition to uptown Charlotte. The food was plated beautifully and overall delicious." Swing on by to take a peek for yourself: La Belle Helene is open from 11:30 a.m.–10 p.m. on Monday-Thursday, 11:30 a.m.–11 p.m. on Friday and Saturday, and 10 a.m.–3 p.m. on Sunday.